In the Fifth Century AD in Sri Lanka, the Visuddhimagga (Path of Purification), was compiled by Ven. 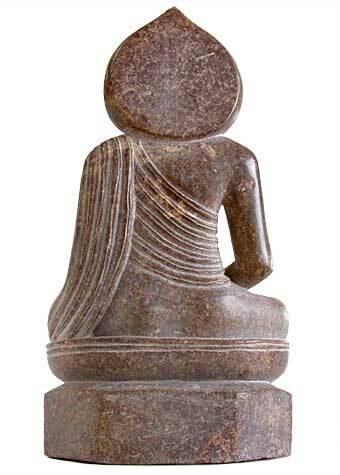 Buddhaghosa from previously existing materials and would prove to have lasting influence on the meditation methods of Theravada school of Buddhism. A number of things must have been striking to any new reader familiar with the Buddha’s meditation method described in the Suttas but encountering this huge, very detailed meditation manual for the first time. Primary among these is that the Visuddhimagga describes not one but two distinct methods of meditation, each to be cultivated independently for distinct purposes. These are called samatha- (serenity) and vipassana- (insight) meditation. Now the astute reader will recognize both terms, samatha and vipassana, from the previous discussions of Buddha’s meditation and its Zen variant, but in each of those cases these were aspects of of a single method that were brought into balance but worked together. In order to compare the Visuddhimagga’s approach to the Buddha’s I will make use of the template we used to make the same comparison for Zen, however since we are now dealing with two methods I will apply it twice, this week for samatha meditation, and next week for vipassana. Prerequisites of Visuddhimagga Samatha Medititation. 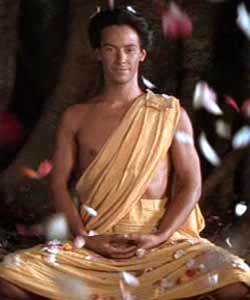 These are things cultivated prior to meditation, over years or minutes. Wisdom and Virtue. Virtue and aesthetic practices are prerequisites to meditation. The latter, endorsed but not strongly by the Buddha, are intended to “cleanse” virtue by developing fewness of wishes and contentment. What differs from the Buddha’s program, following the Eightfold Noble Path is that samatha meditation is developed prior to the development of wisdom as a conceptual pursuit. Methods of Visuddhimagga Samatha Medititation. These are the mental actions that give rise to meditative experiences or allow them to be steered once they have arisen. Removal of the hindrances. This is roughly as in Buddha’s meditation. Undistracted reflection on themes conducive to insight? Forty alternative objects or themes of meditation are enumerated that substantially overlaps with the different themes of the buddha’s Four Foundations of Mindfulness which are not represented in the Suttas. Most remarkable is the inclusion of ten different kasinas, or artificial disks as meditation objects. Otherwise objects are included that one one expect to be, as in Buddha’s method, intended to support the investigating impermanence, suffering, insubstantiality and unattractiveness. However the experience of samatha meditation described below actually precludes their use in this way once jhana is attained. 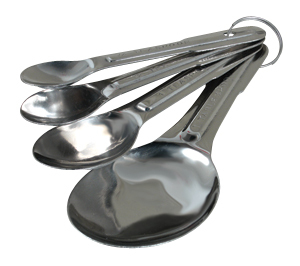 The choice of meditation object seems intended to match the meditator’s personality type rather than the development of a particular kind of meditation. In general the method is to fix the mind on the object of meditation and as the mind settles a counterpoint sign (patibhaga nimitta) will arise, which is an idealized mental image, unblemished and unchanging, of the object itself in the mind’s eye. The mind fixes instead on the counterpoint image when this arises. Fixing on an image in this way is not mentioned in the Buddha’s meditation. Encouragement of active factors. In the preparatory stages of meditation all of the jhana factors and the early factors of enlightenment including mindfulness, investigation, energy, delight and happiness are encouraged, much as in the Buddha’s meditation. The Experience of Visuddhimagga Samatha Medititation. As in Buddha’s meditation the experience of samatha meditation is concentration at varying levels. 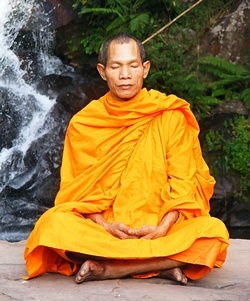 The Visuddhimagga describes a level of concentration called samadhi but actually prior to jhana, which the Suttas do not mention: Access concentration is close to jhana, is possible only when the hindrances are suppressed, involves clear undistracted awareness and a full range of mental experiences. Concentration is centered, not fixed? In the Visuddhimagga jhana, also called fixed concentration, is so fixed on the counterpart sign that this is the entirety of experience. 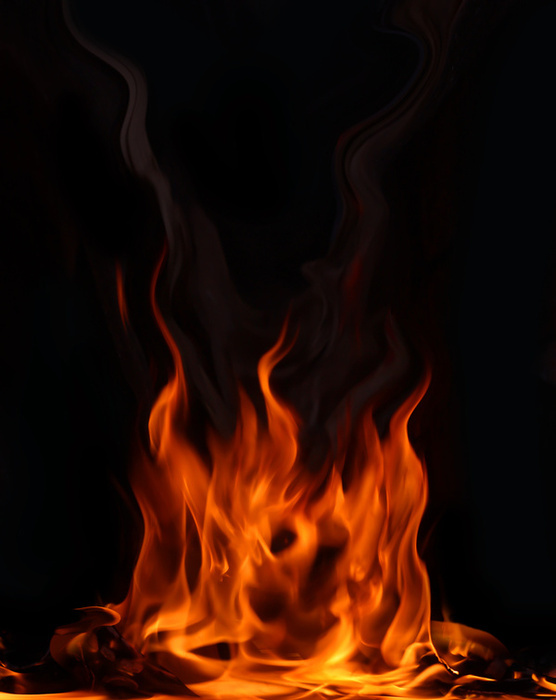 This means that all senses and awareness of the body are completely cut off. 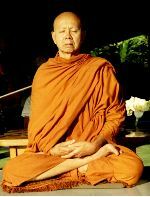 The jhana factors that define the different jhanas and that we are familiar with from Buddha’s meditation — thought and discourse, delight, pleasure and one-pointedness — are present, but they are functions for directing and maintaining concentration, awareness of these individual factors is possible only before and after leaving jhana. We have seen that in the Buddha’s meditation concentration is centered, not fixed, there is broad awareness, particularly of the body and of many mental factors in every jhana, including the five jhana factors. Clearly jhana in the Visuddhimagga is a different experience than in the Suttas. Just to be clear, when I need to disambiguate these two kinds of jhana I will call them respectively VM-jhana and S-jhana, or Visuddhimagga-jhana and Sutta-jhana. Notice that S-jhana has more in common with access concentration than it does with VM-jhana. Investigation continues in samadhi? 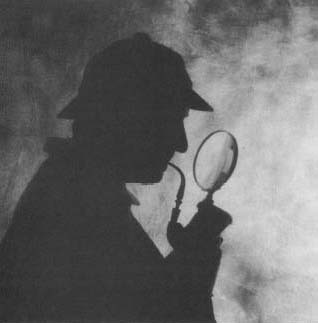 No investigation or insight can occur in VM-jhana. This is clearly stated in the Visuddhimagga itself and must be the case because the counterpart sign is the entirety of experience and it is experienced as unchanging, without blemish. VM-jhana in this respect is quite distinct from S-jhana, which we have seen forms not only a basis, but the essential basis, for vipassana. So, if samatha meditation is not a direct basis for insight, what is it used for? First, it provides a blissful abiding. Second, it provides a indirect support for insight meditation by developing qualities of mind that carry over after leaving jhana. Third it allows the development of supermundane powers such as walking through walls or touching the sun. 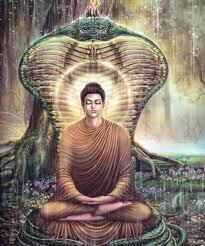 Fourth, it can lead to rebirth in the Brahma World. Fifth, it provides the cessation of Nirvana here and now … temporarily. The pre-jhanic access concentration can be used a a direct basis for insight. But insight is actually developed in vipassana meditation, not in samatha meditation. And in fact according to the Visuddhimagga VM-jhana is not even a necessary condition for the development of at all insight; it is optional. Vipassana does not require VM-jhana. 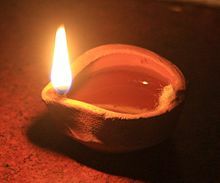 A practioner who makes use of VM-jhanas is even specifically referred to as a samatha-yanika, a serenity vehicle guy. This contrasts with the suddha-vipassana-yanika, a pure vipassana vehicle guy, or a sukkha-vipassaka, a dry vipassana guy. He then makes exactly the same statement but with regard to the “second jhana,” the “third jhana” and the “fourth jhana.” This and the next passage describe things that would not be possible in VM-jhana. In fact the idea that samadhi would be optional as a full fold of the Noble Eightfold Path seems on the surface absurd. In summary, in the Visuddhimagga VM-jhana serves functions primarily different from the highest goal of final liberation, which requires insight, and for which jhana is helpful but optional. It only incidentally supports the development of insight. This is OK, since the Visuddhimagga provides a second form of meditation, which we will look at and assess next week. What is a bit troubling is that the Visuddhimagga co-opts the Buddha’s terminology, “jhana” and “samadhi,” for its own ends. The Buddha had already co-opted “jhana” for his own ends, but it seems that in the Visuddhimagga it has reverted to what might have been its original non-Buddhist usage to refer to fixed concentration. What is a bit puzzling is the amount of attention given to VM-jhana, since it is not only optional for the highest goal and in fact rather outside of the logic of the Buddha’s system, but is also considered to be something few can actually attain. If any readers more familiar with the Visuddhimagga than I can explain away this trouble and puzzle I would appreciate it. Buddhism spread from its home in Northern India in all directions, north, east and west. We have considered some of what happened to Buddhism in China and the rest of East Asia. Some two hundred years before reaching China Buddhism is purported to have arrived in Sri Lanka during the Second Century BC reign of Emperor Ashoka, possessor of the political will that made Buddhism perhaps the first world religion, that is, propelled Buddhism well beyond its boundaries from the land and culture of its origin. 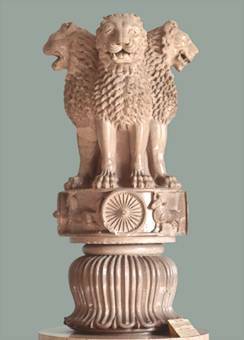 The traditional account has Emperor Ashoka’s son Ven. Mahinda, a Buddhist monk, first brought Buddhism to this southern island, along with a branch from which a Bodhi tree could be planted. Though Sri Lanka was isolated by water it was not so distant culturally as China for its culture and language were Indoeuropean. Over the first centuries different schools of Buddhism came and went in Sri Lanka, but what emerged dominant is what we now know as the Theravada school, which would spread to Burma, Thailand, Cambodia and Laos, where it lives today. 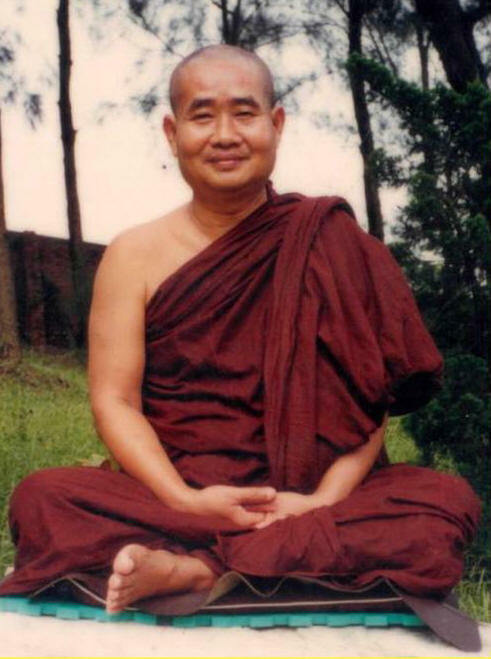 The Theravada school is often called the most orthodox school, or even “original Buddhism.” Indeed it is the one still existing school that does not fall into the reformist Mahayana camp. And indeed it has served more than any other school as the guardian of the original teachings, the Dharmavinaya, preserved in the Pali language as the early Suttas (discourses) and as the Vinaya (book of discipline). Now, Theravada is not the only school to have inherited the Dharmavinaya — the Chinese have it too and the Tibetans most of it — but they are the primary guardians in at least two senses: First, the Theravada tradition preserves the Dharmavinaya in something close to the Buddha’s language or languages rather than in an unrelated language from with the original texts have been translated. For instance, if you wanted to find out in detail what the Christian Bible said about some esoteric point, you would prefer to look in the original Greek rather than the King James version. A similar higher degree of reliability falls to the Pali rather than to the Chinese. 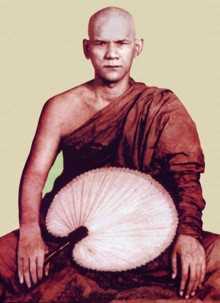 Second, the Theravada has devoted much more energy to the study of those texts than anyone else. These texts are chanted repeatedly in their original Pali. Pali scholars have discussed the meanings of words and phrases for centuries. These texts are actually read and even memorized. I began this series by describing the Buddha’s meditation, based on the discourses. Although I relied almost exclusively on the Pali Suttas preserved in the Pali tradition, this does not mean that I was describing exclusively Theravada meditation. The Chinese Agamas seem, as far as I know, to say the same thing and outside of the last minute translation from Sanskrit to Chinese have as solid a pedigree as the Pali Suttas. What I presented seems to have been a part of the Buddha’s teaching in Northern India that defined the starting point for the evolution of each of the Buddhist schools, each of which introduced its own innovations. 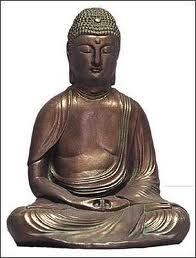 Buddha’s meditation is the root of both Zen meditation and of Theravada meditation, even though the Thervadins have the key right there on the shelf to unlock what the Buddha’s meditation was. In fact even as the primary guardian of these original teachings, the Theravada school underwent its own evolution, and was fully codified in Sri Lanka only in the Fifth Century AD in what is known as the Commentaries. This is a great body of texts that analyze the earlier canonical scriptures. 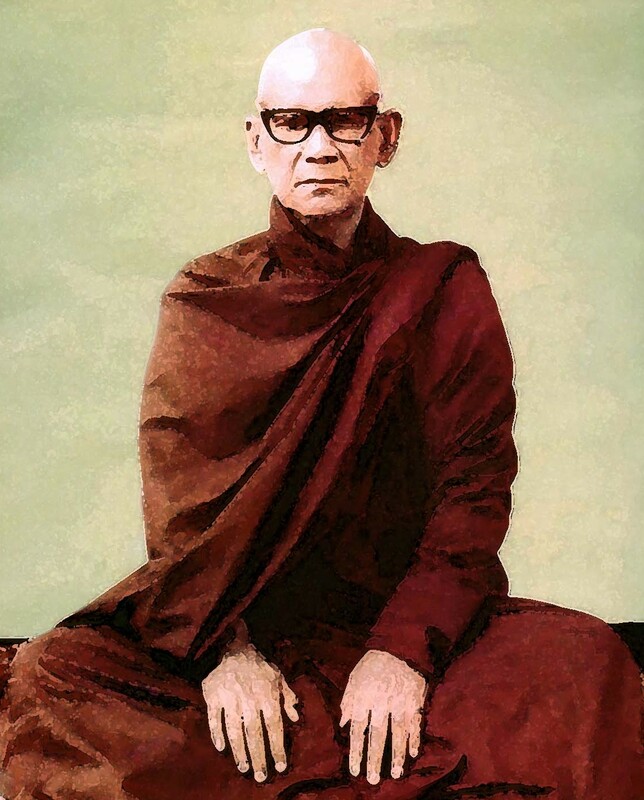 Even though there is much debate about the reliability of the commentaries in every instance, the commentaries largely define the center of gravity in Theravada Buddhism. 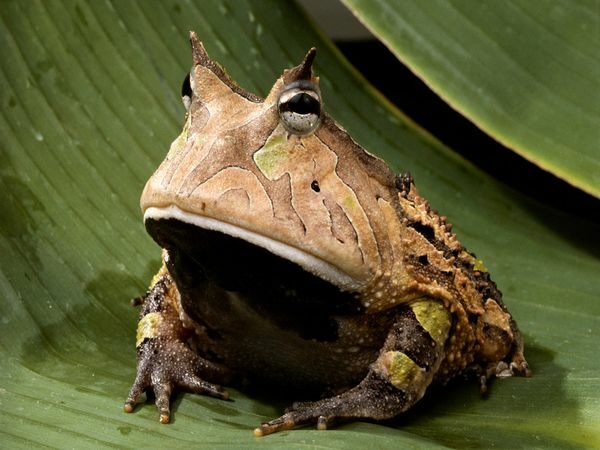 They are particularly highly regarded in Burma. We will in fact be forced to plunge right into the Sutta/Commentary debate here, because it seems that meditation is handled quite differently in the Commentaries than in the Suttas. The commentarial Visuddhimagga (Path of Purification) is a huge, very detailed and very influential meditation manual from the Fifth Century AD, compiled by Ven. Buddhaghosa about the same time Tian-tai Master Zhiyi Zhi was writing his voluminous meditation manual, the Mohe Zhiguan (Great Serenity and Insight) in China (which I mentioned a couple of weeks ago). None of these claims seems to have any support in the Suttas at all and many seem to flatly contradict the Suttas, what I have presented as Buddha’s meditation. Less importantly, none of these claims has any semblance whatever of Zen meditation. What gives? Has Theravada meditation gone woefully astray, or did it decide at some point to abandon the old ways for a method more adequate than the Buddha’s method? It turns out, I think, that neither of these is true. This is what I will discuss in the next couple of weeks. In our comparison between Buddha’s meditation and its Zen variant we turn to method. Last week we considered prerequisites and next week we will consider the experience of meditation. Removal of the hindrances. This step just prior to meditation, which I had discussed as a part of Right Effort, seems to be pretty much equivalent in Zen, though the five hindrances (lust, anger, sloth and torpor, restlessness and regret and doubt) are rarely listed as such. 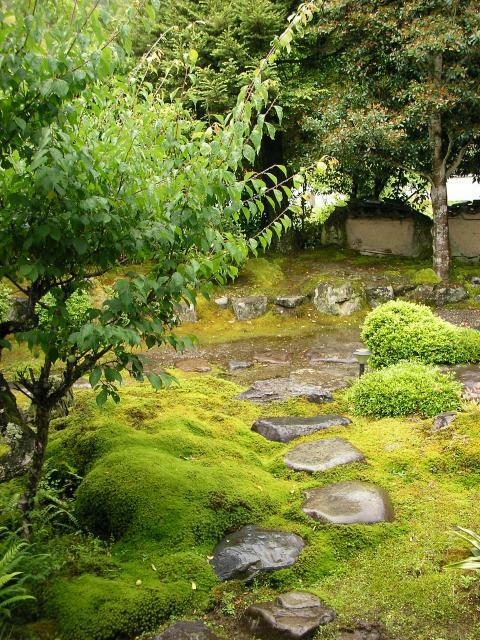 Zen puts a strong emphasis on seclusion values the monastic lifestyle. 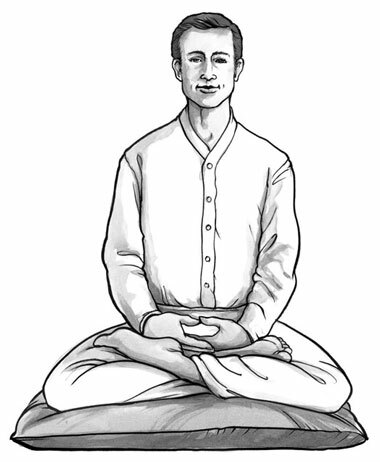 Specific instructions prior to seated meditation like the folliwng are common. Undistracted reflection on themes conducive to insight. Tendai master Zhiyi’s (538-597) early manual of what he calls serenity-insight (Pali: samatha-vipassana, Chinese: zhi-guan, Japanese: shikan) meditation is supposedly based fundamentally on the Sanskrit Agamas (equivalent to the Pali Suttas), so effectively on the Satipattana Sutta and the like. This suggests the the Buddha’s method was properly studied in China at roughly the time the Visuddhimagga was compiled in Sri Lanka, and was not replaced willy-nilly by some Taoist method early on. In an early Zen text, in words attributed to the Fourth Ancestor, we accordingly find the following instructions. In zazen don’t do anything, don’t meditate, meditation is done by our mind, don’t count breath, watch breath, don’t chant, don’t contemplate, don’t concentrate mind on a particular object. We have no techniques. We really just sit with both body and mind. How does all this relate to the Buddha’s method, for instance, as described in the Satipaṭṭāna Sutta? Actually there are some parallels which are more obvious in practice than from examination of the texts. 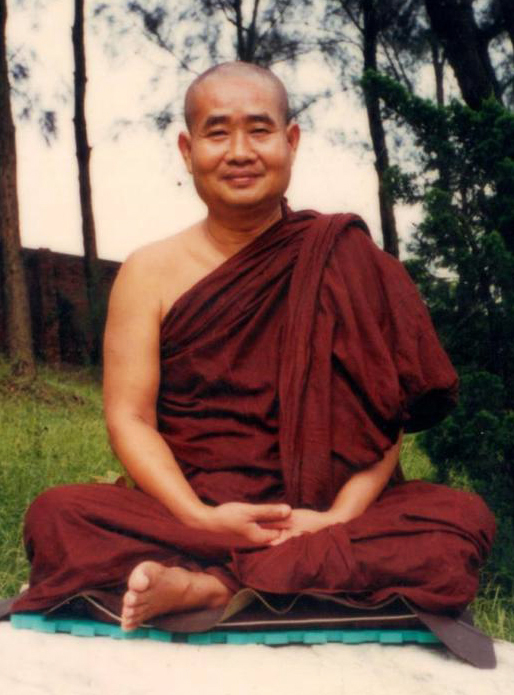 Both the Buddha’s method and Dogen’s emphasize the whole body. 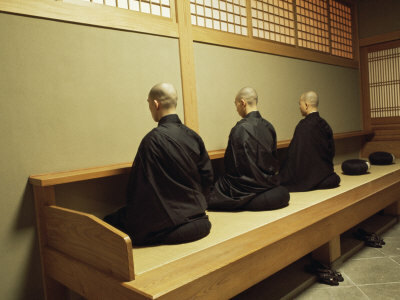 Whereas in the Buddha’s method we are optionally but generally asked to attend to the (full body of) breath, I know of no reference in pre-modern Zen literature at all to following the breath, and you will notice that Dogen specifically discounts it above, though some modern Zen teachers are known however to fall back on the breath. What is remarkable in Dogen’s description on the other hand is the attention to every detail of the posture. Recall our discussion from last week about the use of ritual, regulated bodily behavior, in establishing everyday Zen mindfulness. 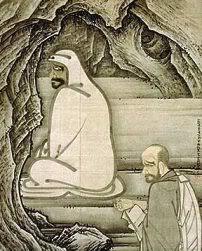 For Dogen zazen is at core a ritual, the grand ritual of sitting like the Buddha. And ritual seems to have a powerful effect in steadying the mind and indeed, according to experience, does result in jhana/samadhi. My own experience with this is that the awareness of the body is constant, but one need not attend to the details once the posture is established. 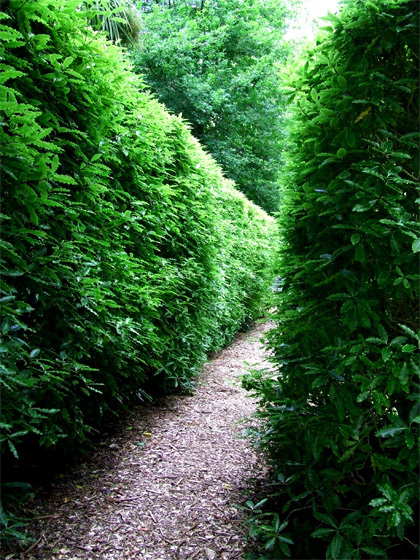 If the mind later becomes scattered, one simply checks and readjusts the body the mind popsimmediately back to center. Also significant is the admonition to keep the eyes open. The Buddha never says what to do with the eyes, but most yogis naturally assume in meditation the eyes should be closed. 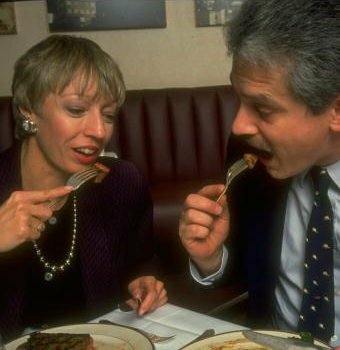 Closing the eyes leads more easily to stillness, since the primary channel of sensual input for humans, and therefore a primary source for spinning off into thinking, is thereby cut off. Dogen asks us not to cut it off. 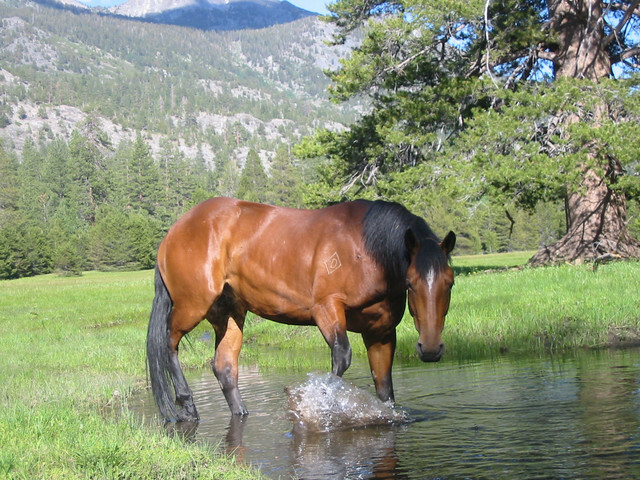 If stillness is not thereby relinquished, this might just be part of the basis for insight. This theme of holding back and simply watching our experience is reflected also in the following quotes. Zen literature on the experience of meditation is replete with references to mirrors. A mirror stands there and accurately reflects what passes before it, but never gets involved with whatever drama is unfolding there. Maybe this is thinking not thinking. It in effect steps back from, but is not oblivious to, these affairs. The natural question when we come from the perspective of Buddha’s meditation method is, What is being attended to here aside from the posture? The answer is awareness or consciousness itself, which is not in itself thought but simply a reflection of the six senses in the Buddha’s discourses. And this is completely consistent with Buddha’s very briefly presented and rarely discussed Third Foundation of Mindfulness, cittanupassana, mindfulness of mind. The cool thing about mindfulness of mind is that the mind reflects body, feelings and phenomena alike, but one step back, and in this sense satisfies the other Foundations of Mindfulness. This makes it a good basis for insight. One last intriguing note seems relevant to Dogen’s essential method. 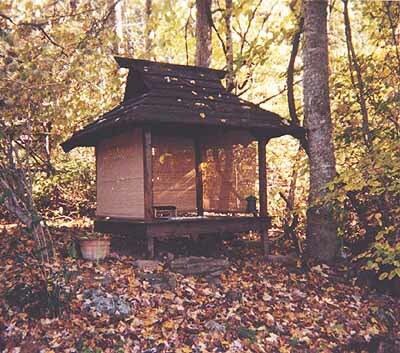 He calls his method “shikan-taza,” often translated as “just sitting.” Word plays are very typical of Dogen and so whereas “shikan” means “just mindfully” or “wholeheartedly,” it also represents the Japanese pronunciation of “zhi-guan” (“samatha-vipassana”). 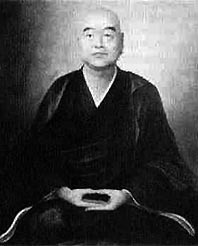 Though Dogen writes “shikan-taza” with Chinese characters that disambiguate the meaning of “shikan,” his students would not have known aurally if he was asking them to sit wholeheartedly or to sit “samatha-vipassana.” Is this a clever allusion to the origin or true identity of his method? Textually it is a challenge to bring Budhha’s method and the Zen method into concordance. Whew! But then the proof of the cooking is in the pudding: Next week we will compare the resulting experience of zazen with Buddha’s samadhi. 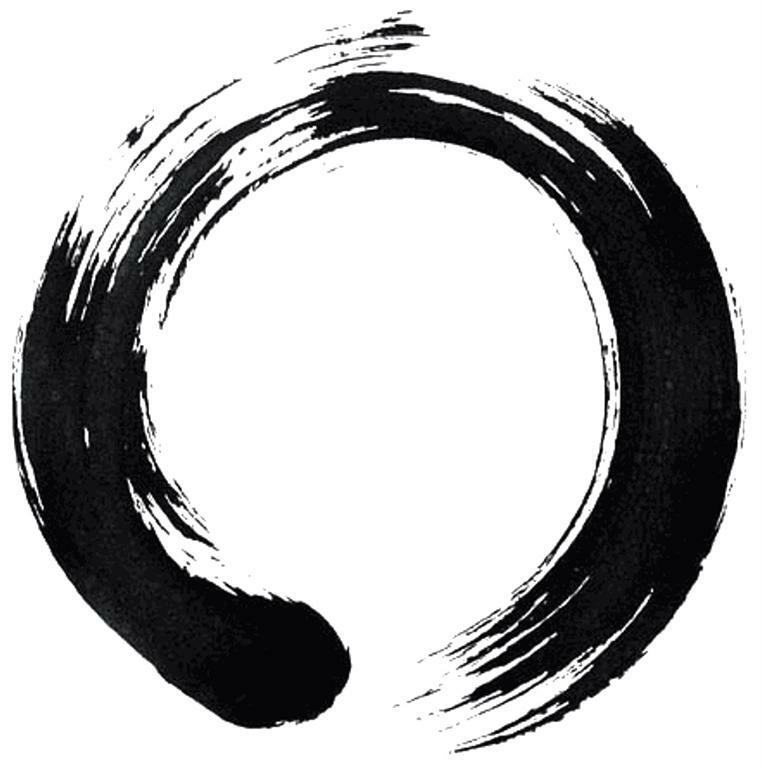 The Zen method I think speaks of an aspect of the East Asian mind: its ability to get directly at what is essential and put the focus there, to boil things down. If some readers have experience with East Asian literature, or with martial arts, you might want to weigh in with comments that deny or confirm this broad generalization. Encouragement of active factors. 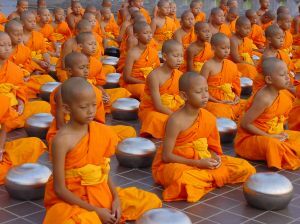 I know of no specific practices for encouraging delight and other active factors; we will look at vipassana next week. But this quote of Hong-zhi is a typical description of the factors involved. Adjusting and Balancing. The need to balance serenity and insight is well acknowledged.